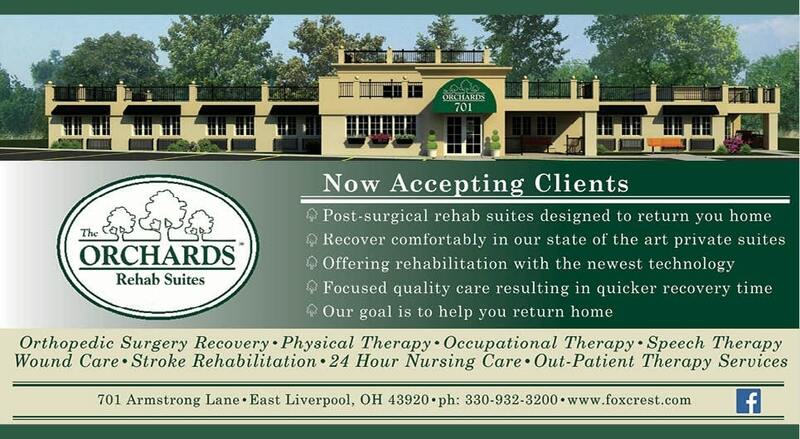 The Orchards Rehab Suites welcomes you to Restore, Renew, Revitalize. This new division of healthcare service enhances our continuum of care by providing intensive rehabilitation services for everyone needing focused quality care. Intensive rehab services, result in quicker recovery time following an orthopedic procedure, heart attack or stroke. Several highly respected local physicians will direct your care and can shorten recovery time by 65% allowing you to rehab in the quickest manner, returning you to the life and activities you love. A Professional Nurse (RN or LPN) is on staff 24 hours per day and maintains staffing ratios of 3-6 patients to each direct care worker during peak care hours. 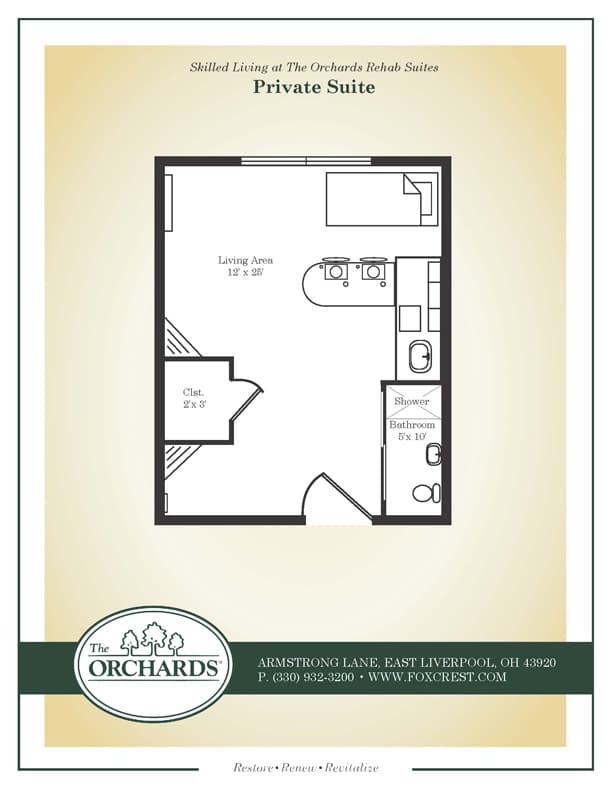 Recover 65% faster at The Orchards Rehab Suites with intensive rehab services rather than recovering at home following an orthopedic procedure, heart attack or stroke. The best rehab team around continues their mission of returning area citizens home, faster and stronger than ever, in our custom-designed therapy center. Therapy is provided seven days a week, built around the customer’s needs, in our occupational therapy kitchen or on our-state-of-the-art exercise equipment. Arbor Therapy will also see patients in this space for outpatient treatment following discharge enhancing the continuity of care. Our Executive Chef designed menus offer gourmet to home-style fares and is prepared under the direction of our culinary arts educated Sous Chef. Place your order with our concierge from 7:00 a.m. to 6:00 p.m. and enjoy your meal in the dining area or in the privacy of your suite. The Orchards Rehab Suites has taken strides to blend the comforts and conveniences expected from five-star resorts with world-class healthcare. The Rehab Suites is the only local free-standing facility without medication carts, increasing the hotel-like feel to our rehabilitation services. Luxurious design elements in each private suite include: large flat screen televisions offering a variety of channels, electric beds, easily accessible bathrooms and showers to aide post surgical recovery, boutique hotel soaps and shampoos, WiFi and Amazon Echo to relay the news, play music, or sync with patients Amazon account.